Mitch with 110 lb Blue Marlin! 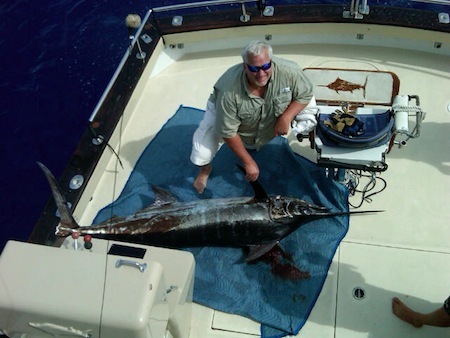 Mitch hauled in this nice 110 lb Blue Marlin during the Lahaina Jackpot Tournament aboard the Maggie Joe! Great job, Mitch and Captain Mike! Posted in Deep Sea Fishing, Fishing Tournament Schedule and Results, Gallery, News | Comments Off on Blue Marlin Caught!